It is the nature of a beautiful object to inspire obsession. The bicycle—a practical, relatively simple machine—has been reimagined by countless enthusiasts over the years and cleverly crafted to fill nearly every imaginable niche and purpose. London designer Michael Embacher caught the bike bug about 10 years ago, when he traded his car for a pedal-powered commute. He fell in love with the bicycle's clean, efficient design, and it transformed his life and health. More than 200 bicycles later, Embacher boasts an impressive collection of two-wheeled works of art. 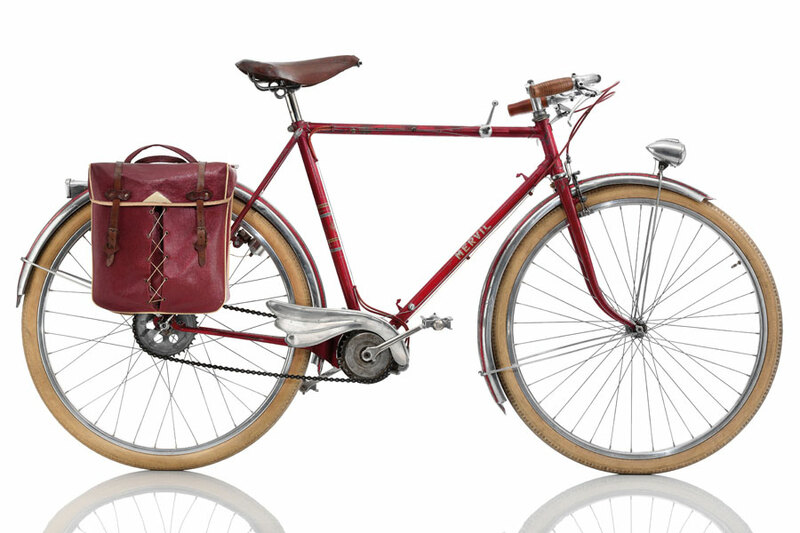 Enthusiasm is best when shared, and Embacher does just that with his new book, Cyclepedia: A Century of Iconic Bicycle Design (Chronicle Books), a compendium of 100 strange, sleek, and classic bikes from his collection—like the 1949 Mervil Mervilex from France, shown above. This slide show features a few more of our favorites.